Muscat - In line with its strategic expansion plans and the launch of new routes worldwide, Oman Air will get delivery of eight new aircraft by the end of 2018. The new deliveries will include five Boeing 737 Max and three brand new Boeing 787-9 Dreamliners, the airline stated in a press release. Oman Air announced that it will be exhibiting next week at the Arabian Travel Market (ATM) a key travel and tourism event held at the Dubai International Convention and Exhibition Centre from April 22 to 25. Acting chief executive officer Abdulaziz al Raisi, chief commercial officer Paul Starrs, and senior vice president of International Sales Ihab Sorial will all be present to welcome visitors to Oman Air's stand. 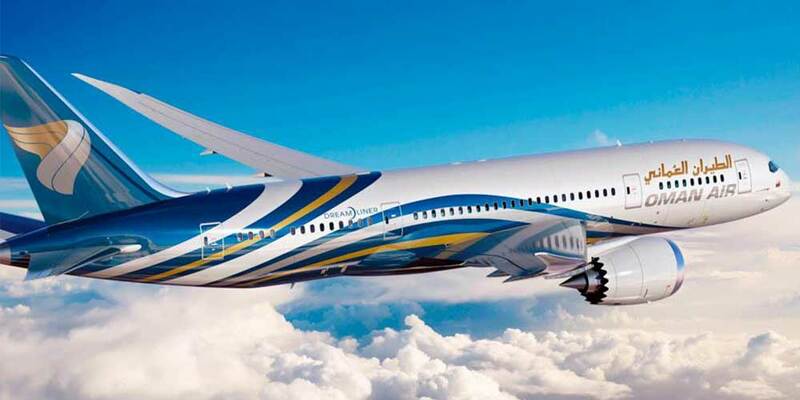 The airline's presence at ATM provides the perfect platform for Oman Air to showcase its latest products and award-winning service, and it is anticipated the show will be yet another great success for the airline. The Oman Air stand will reflect the airline's commitment to quality service, and is expecting a large number of visitors including customers and major tour operators.